The Dolphin PM trip caught 109 Rockfish for 34 anglers. The Dolphin AM trip caught 107 Rockfish, and 1 Lincod for 36 anglers. The Shogun returned this AM with a total of 74 bluefin for their 3 day trip. 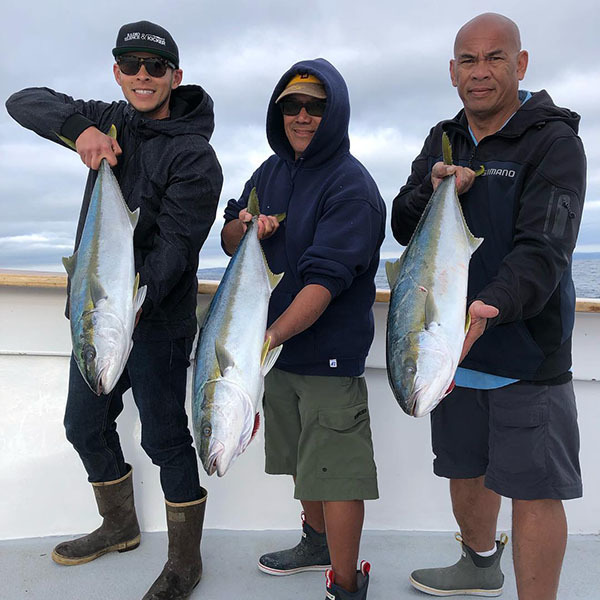 The Liberty is up to 29 Yellowtail for their Full Day trip.